Through the death of Mr Robert Anderson, of Loch Avenue, which took place on Saturday, 21st April, Ballarat has lost a worthy citizen. Mr Anderson was intimately associated in the early mining days of this district with several successful alluvial claims, notably the Avoncliff Company, at Scarsdale, where from 1864 to 1869 he held the post of mining manager, and subsequently the Park Company, Leviathan, and Winter’s Freehold. Mr Anderson was born at Alnwick, in the north of England, in the year 1827, and arrived in Victoria in 1852, landing at Portland. Bendigo at that time was the centre of attraction, and, in company with the present Minister of Lands, MrMcIntyre, he tramped the country, reaching Bendigo after a fortnight’s severe journey. 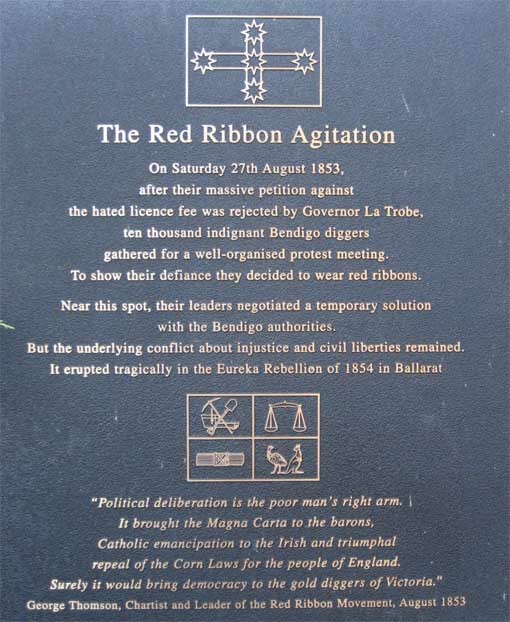 At Bendigo several of his comrades were arrested and marched off to the logs for working without the necessary licenses. They were asked why they did not take licenses, and Mr McIntyre replied by asking if the warden thought they would walk about in that state— pointing to the toes peeping out of their journey - worn shoes —if they possessed the price of a license. This argu-ment was unanswerable, and the men were allowed to resume digging. After meeting with varying success, Mr Anderson returned to Ballarat and carried on the business of a “mine furnisher,” that is, supplying parties of miners with the requisite tools, and in return receiving a share of the profits. Getting tired of mining, Mr Anderson selected land at Kewell West, near Dimboola, in 1877, and took to farming until four years ago, when he re turned to Ballarat to enjoy the fruits of his hard toil. About 12 months ago, however, he was attacked with what appeared to be an affection of the heart, and died at 2.30 on Saturday at 67 years of age, leaving a widow but no family. ↑ Ballarat Star, 01 May 1894.